The government says it wants its GOV.UK Verify identity assurance service to gain 25 million citizen users by 2020. 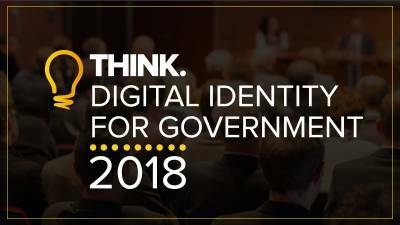 As it stands, we’re at 2.2 million… but that shouldn’t be seen as evidence it is a dead duck, argued many of the speakers at last Friday’s major public (and private sector) tech conference on all things Identity, Think Digital Identity for Government 2018. Speakers, panellists and vendor representatives all spent time over the course of the content-rich agenda to defend the scheme from critics, some of whom were there to express their scepticism about the programme, including well-known blogger and activist David Moss. This despite the fact – as Moss among other participants pointed out – that the Government Gateway it was originally supposed to replace is still very much in place, despite being slated for execution many years back, as opening keynote Jessica Figueras, Chief Analyst at GlobalData Public Sector, noted. Nic Harrison, Director, Service Design and Assurance at GDS reminded the audience – mainly senior central government IT professionals – that Verify is actually on a respectable growth path when compared to other such schemes such as many of the Scandinavian countries and Canada. Many of the challenges Verify faces may well come down to the fact it is not backed by a national ID card scheme, as is Estonia’s, for example, he claimed – but that the vision of a public-private partnership national Identity system still remains valid. “It takes many national digital ID systems up to five or six years to get 50% adoption,” he said. Could federated ID solve the challenge of the ‘thin file’ service user? “The fact that Verify is used by 8 Government Departments for 17 services and has six million transactions in government already – and will play a big part in the rollout of Universal Credit – means it has a very solid future,” he added. Still, Verify is coming on-stream in a world that is in many ways very different to the one its original designers were working in – and the market needs to acknowledge this, speakers agreed. “We face many of the very same challenges we did when Verify was first drawn up by the then Coalition government in 2010,” stated Figueras, for example..
That’s because “the past is a foreign country,” as she went on to say – alleging that the public mood has drastically changed and in a very altered international social context their focus on entitlements and borders needs to be factored into all Identity projects. Nonetheless, the mood music at this highly representative conference is that we need Verify – and it remains a system well worth backing by the market and citizens alike.